It's the first Real Madrid win with Rafa Benítez in charge, as the Merengues beat Manchester City 4-1 in another pre-season friendly in Melbourne, Australia. The first 3 goals of the game were delivered still in the first half by Benzema, Cristiano Ronaldo and Pepe, but it would be Cherysev sealing the win roughly 20 minutes before the final whistle. Things seem to have finally started clicking for Real Madrid in this pre-season, as Benitez's new pupils handed Manchester City a heavy 4-1 loss this Friday morning. This was the Merengues' second fixture this month and also their second being game played in their Australian pre-season tour. In a match where Benítez didn't play around with his starting eleven, the men in white dominated the first half and reached a 3-goal lead thanks to goals from Benzema, Cristiano Ronaldo and Pepe. The Citizens would still cut the lead to 2 goals before the half-time break, when Yaya Touré scored from the penalty-kick spot. With the typical changes happening throughout the second half, the game slowed down a bit and it would be Denis Cherysev scoring the last goal of the clash, setting the final score in a clear 4-1 win to Real Madrid. It was the BBC (Bale, Benzema, Cristiano Ronaldo) debut under Rafa Benítez orders and it didn't take long for those men to leave their mark in Melbourne. After 20 minutes played in the first half, Bale picked up a pass from Carvajal on the right, put in a cross into the penalty box with his weaker foot and saw Benzema finishing it off with a great volley. It was Madrid's first goal in this pre-season, given that they didn't go beyond a goalless draw against Roma last Saturday. Four minutes later, it would be time for Ronaldo to also open his account this season, at least in what goals concerns. The Portuguese striker escaped Manchester City's backline when he saw Kroos sending a long ball in his way, and not even Kolarov's pressure made him blink when he could already smell his first goal. The 30-year old went for a shot with the tip of his boot and saw the ball bouncing in after an incomplete first save from Joe Hart. The 3-0 took place around the 44th minute, this time through a corner kick assist from the right, delivered by Isco. The Spaniard curled the ball perfectly into the heart of the box and Pepe rose above everyone else to hit it clean and straight into the back of the net. There was not much Joe Hart could have done on this one, as Real Madrid kept pushing forward and playing some very good football. Manchester City's glimpse of a reaction took place already inside the first half's added time, when a wrong call from the referee allowed them to earn a penalty-kick. City's new signing and former Liverpool player Raheem Sterling, controlled a pass with his arm and saw Ramos not being able to control his impetus and also use his hand to cancel the play. Even though the whole incident took place a few inches outside Real Madrid's box, the referee ignored Sterling's first handball and pointed to the spot. The former Barcelona midfielder Yaya Touré didn't look to be bothered at all and easily beat Navas from the penalty spot. The second half saw the two managers producing a lot of changes in their teams and as expected, the pace of the game slowed down considerably. Nevertheless, Real Madrid would still get their 4th goal in the game, once again from a perfect assist coming from Isco's feet. The 23-year old found some space on the right, sent in a low cross into the far post and basically handed Cherysev his first goal of the season in a silver plate. The Merengues will now take off from Australia and head on to Guangzhou in China, where they'll be taking Inter Milan next Monday morning (July 24). This might be a good time for Madrid fans to try out some live football betting, especially now that the team have started impressing in this pre-season tour. 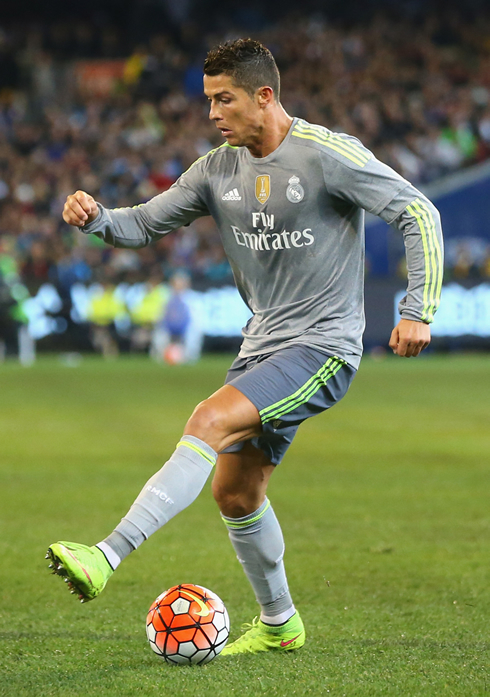 Real Madrid will be huge favorites against Inter, who have already lost against Bayern Munich earlier this week. 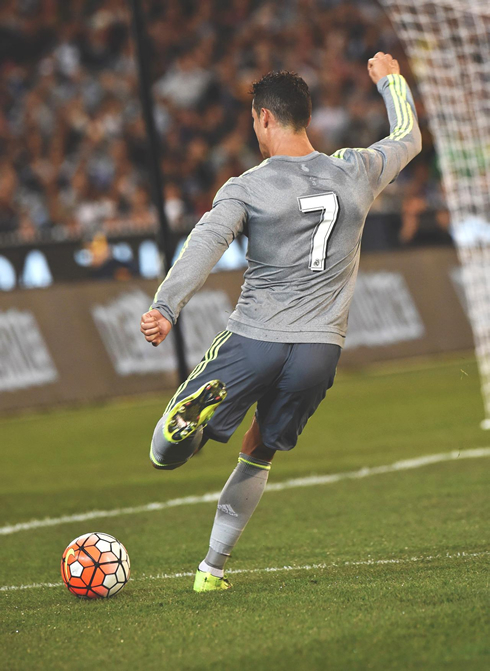 Cristiano Ronaldo next game will be for Real Madrid, on the 27th of July of 2015 against Inter Milan. You can watch Juventus live stream, Real Madrid vs Inter Milan, Barcelona vs Manchester United, Chelsea vs PSG, Arsenal vs Lyon, and USA vs Panama, all matches provided from our sports streaming section.